I went to the bookstore today after a doctor's appointment for my five year old. We went to trusty old Borders and I found exactly what I was looking for. 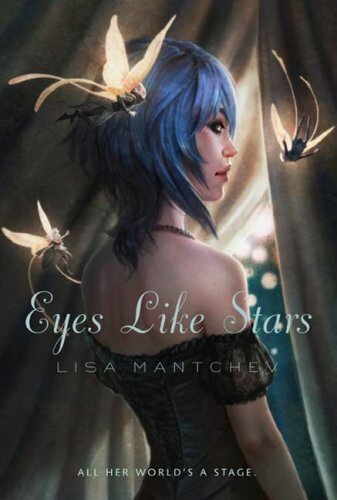 I finally found Lisa Mantchev's Eyes Like Stars and even though I read it back in February and reviewed it way back then, I wanted, nay, needed to own a hardcover copy for myself because the cover is just too gorgeous not to own! Then of course I just had to make my way over to the Z's because I just had to see if Prophecy of the Sisters was in stock. And lo and behold, it was! They had a ton of them! Michelle would be so proud. So I do what is natural and I grab one because even though I was one of the 'first' bloggers to read the book, and devour it and love it, and write to Michelle daily telling her how much I loved it, I knew I also had to own a copy of that one. Plus Michelle held out on the surprise. Which is the surprise on the actual hardcover. Fear not, I spoil you not! This cover is equally gorgeous and I'm sorry that these pictures from goodreads do not represent the covers in real-life person. The third book I bought is by my newest favorite author, Barry Lyga. They had Boy Toy there, but I really wanted The Astonishing Fanboy and Goth Girl but it wasn't there, so I settled for Hero, Type, which I'm thrilled about because it sounds fantastic. And I can embarrass him some more and that's always fun to do. I highly recommend these three books all for different reasons, but also because they are fantastic books by fantastic authors who all have different voices, but will control the world of fiction in the coming years. I look forward to reading sequels and just reading what these talented writers have to say. Hero Type cover looks really good up close. I love Barry Lyga and will definitely check out more titles by him. 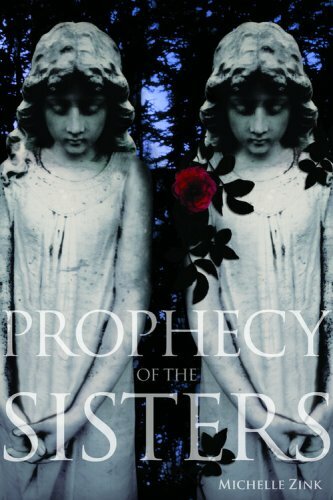 I had to literally make myself walk away from prohecy of the sister's, because I've already read it, but the cover is SO PRETTYYYY. My daughter is really looking forward to Eyes Like Stars. :) I am as well.